Dry prawns and drumstick curry is an authentic Kerala delicious curry that goes well with steamed rice. 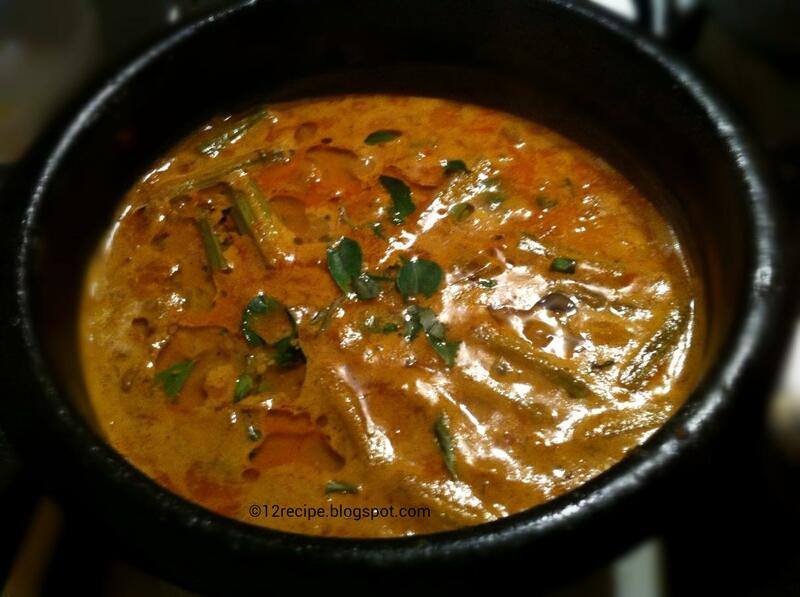 The curry has a good taste of drumstick and Amla and nice aromatic flavor of dry prawns and coconut. The curry tastes more in the next day. So keep it little for the next day also. Grind amla in little water to a fine paste. Also grind coconut and fennel seeds together to a fine paste by adding little water. Heat 2 tbsp of oil in kadai and sauté shallots until brown. Add crushed ginger garlic and sauté until raw smell goes off. Add turmeric powder, chilly powder and coriander powder one by one in a low flame. Add amla paste in to it. Cook for 5 minutes. Add coconut paste, drumstick pieces. tomato (cubed in to 4 pieces) and salt. Add enough water also to get a thick curry. After 10 minutes of cooking, add dry roasted prawns in to it (stir occasionally). Cook for another 8-10 minutes and check for salt. Switch off the flame when the oil floats on the top of the curry. 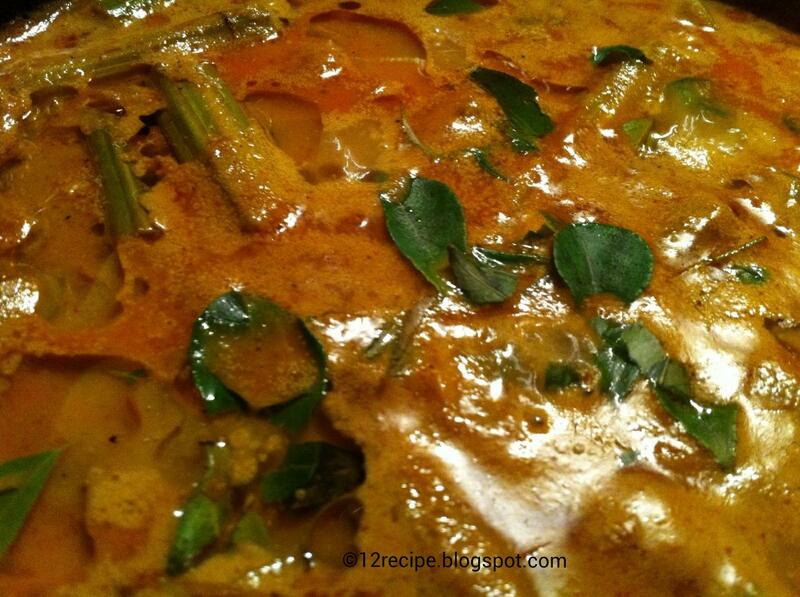 Add a teaspoon of coconut oil and curry leaves on top of the curry. note: if you are using raw mango, add it in to the curry at the time of adding dry prawns.